The world of entrepreneurship is crazy these days: 12 year old CEOs making millions and millennials making billions, while the old paps end up looking for jobs where their bosses are 10 times younger than them. 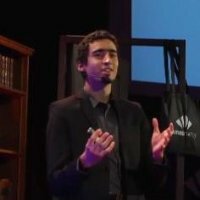 I bet it gets depressing for a lot of folks out there, and hitting 30s in the startup world seems like reaching your life’s deadline. Now some would say this is great, we’re having younger people who are brighter and better at making money and creating technology than ever before, but one shouldn’t oversee the fact that being old and being successful are not mutually exclusive. In fact, some of the wealthiest entrepreneurs out there happen to be old people who still made it to the top regardless of age. 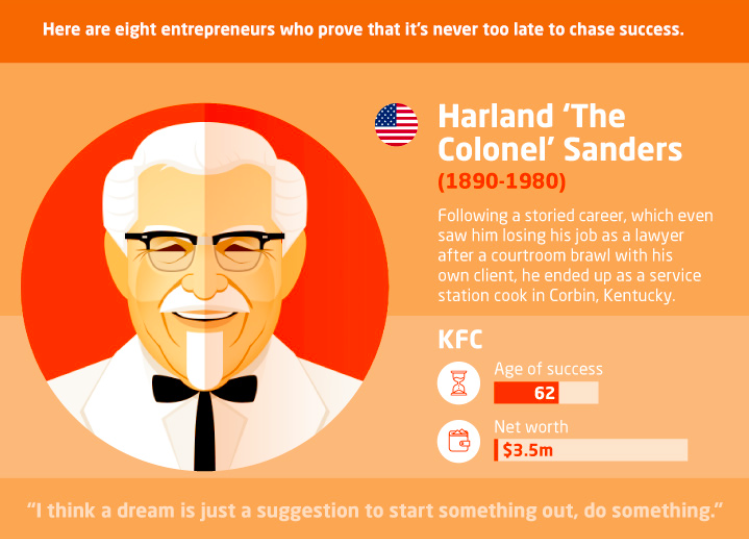 Here is a fantastic infographic highlighting 8 successful entrepreneurs who started late in life.